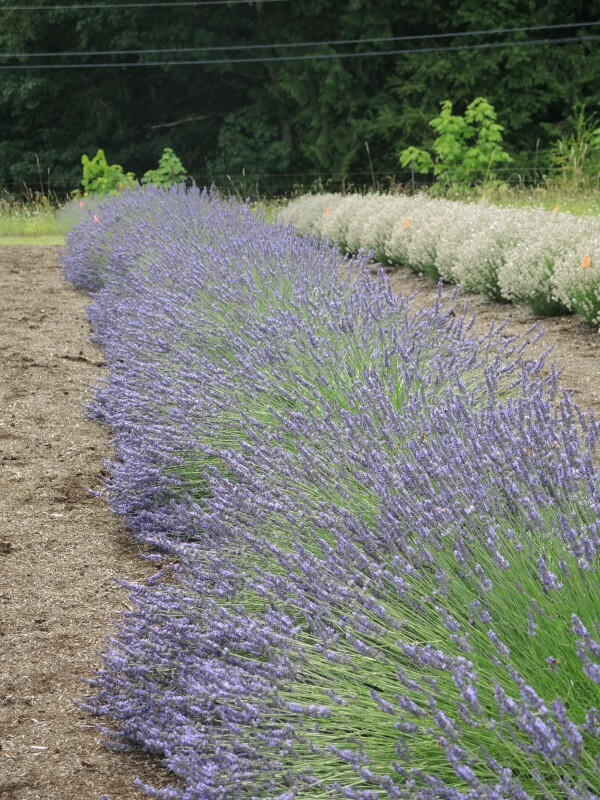 It is a given that most gardeners want to grow lavender for its romance, beauty, and scent. Unfortunately a lot of people get frustrated with the plant when it dies after a season or two. The main culprit that will kill a lavender plant is heat and humidity. But there is one variety that has been developed that will tolerate and thrive under those conditions – Phenomenal! 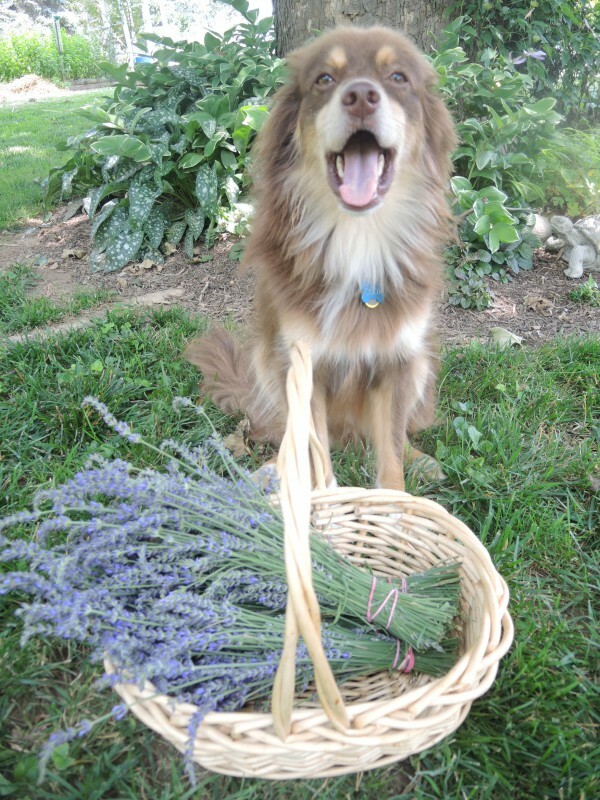 Happy to pick Phenomenal lavender! Phenomenal Lavender has hit the market by storm and I have grown it it now for two years. Supposedly more forgiving of heat and humidity which hits me hard in Maryland, this plant was chosen from thousands of lavenders for its amazing performance and resistance to root and foliar problems that tend to hit other lavenders. Patented by Lloyd and Candy Traven of Peacetree Farm, a wholesale greenhouse, Phenomenal is a great new introduction. A high oil content makes this plant an asset in the kitchen and bath. There is even a Facebook page for this variety! It was also named a ‘Must-Grow Perennial’ for 2013 by Better Homes & Gardens. Phenomenal sailed through our record-breaking winter temperatures for me without a hitch. Keep in mind that lavender is native to Mediterranean climates with a dry, rocky, and sunny climate, and you will get some clues on how to treat this versatile perennial. 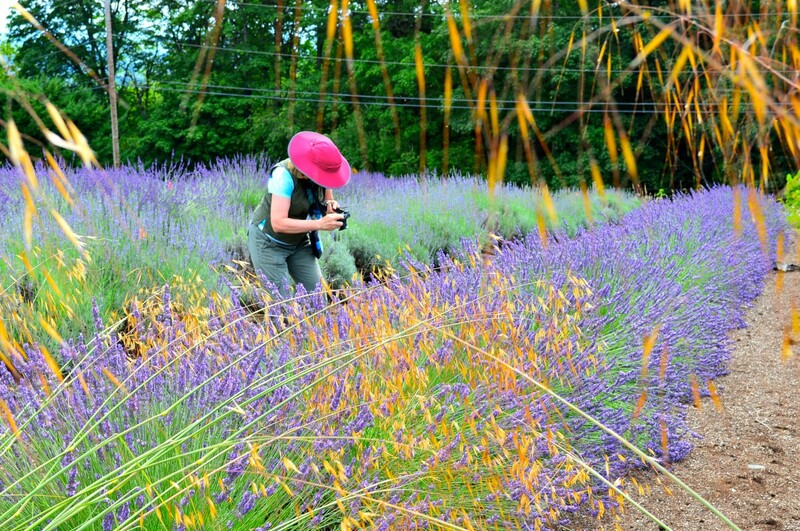 I visited a lavender farm in Oregon and saw beautiful fields of different varieties being grown side by side. There are several pointers in keeping your lavender plants healthier and producing those beautiful aromatic wand-like flowers. No need to fertilize this plant; Think lean and mean! Besides being beautiful and aromatic, lavender flowers are also edible. They can be used raw in salads, added to soups and stews, used as a seasoning, baked into cookies and brewed into tea. See my post on Edible Flower Palette for more ideas on edible flowers. 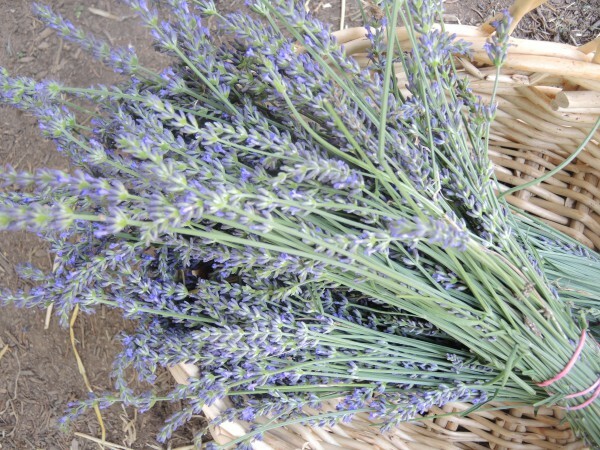 Lavender is one of the top ten flowers for honeybees and other bees. Lavender honey is sublime! Here is a video of the buzzing bees that constantly cover this plant. See my post on Plant These For The Bees on other flowers that bees love. Thanks for all the information. I just planted new lavender plants and one that has been potted 2 years now. I know it’s the wrong time of year but the garden needed to be refreshed and I love lavender. I’m in Oregon (Portland area) so I’ll have to watch and see how they do. I may be looking for some Phenomenal soon. I will look for this and see how they do in Kansas. Lavender usually lasts a summer here. I was just in Portland Oregon a couple of weeks ago on the Garden Bloggers Fling and we went to Westwind Farm Studios. Have you been there? The first picture of the lavender field is of that location. Great! I love lavender but it struggles in my Hereford Zone yard with the trees. I’ve been telling my hubby to plant a lot of it down in the full sun field. Top ten flower for bees? He’ll do it! How well does it do from seed around here? I have had trouble growing lavender from seed. And I don’t think Phenomenal is available from seed, only plants. Probably a patent is involved, but couldn’t find a source for seeds anywhere. I’ve got to try this. I hope I have enough sun! Do you have phenomenal plants for sale? I will be happy to pick them up any time. I cleaned out my lavender bed and want only mailed te and phenomenal to fill my 48 spots. I don’t sell plants, so sorry! Previous PostPrevious Eat Your Flowers!